Why the hair falls in Autumn and what can you do to solve that? It’s not your imagination: hair falling increases in the months between September and December. Yet, don’t worry! There is a solution. Autumn finally came to establish itself. Tree leaves get dropped on the pavement, the sun falls sooner and the cold reconquers the space it lost in Spring. But there’s another thing about this season: at mornings, what was a clean pillow became into an entangled jungle, brushes seem more angry and hungry than before, and all our clothes don’t look as tidy as before. In a nutshell: there’s hair everywhere. And we all think: why hair falls more in autumn?. As tree leaves, hair falls more in autumn than in other seasons. Well, first we need to know what hair is: an amount of fibers, mainly formed by keratin (a protein which also integrates nails) that just appear in mammals (like humans) and that work as thermal and other external factors insulation for the body. The human body evolution implied that all over milions of years, our species has been slowly losing hair in different parts of the body, leaving them almost naked; other parts, like armpits, pubis and head have been able to keep a high concentration of this protective layer. Hair is divided in three parts: Root, Body and Tip. The body and the tip are the medium and high parts of the hair, and its health depends mainly of the care of the cuticle, the outside layer of the hair fiber. But the root is maybe the most important section, because there is the hair bulb, where hair borns and where it gets stuck to the medium layer of the skin: the dermis. The four phases of Hair Life Cicle: anagen, catagen, telogen and exogen. The hair bulb is more important than the other parts of the hair, because all the hair life cicle depends on this initial part, because is there where it recieves the nutrients to make it grow. 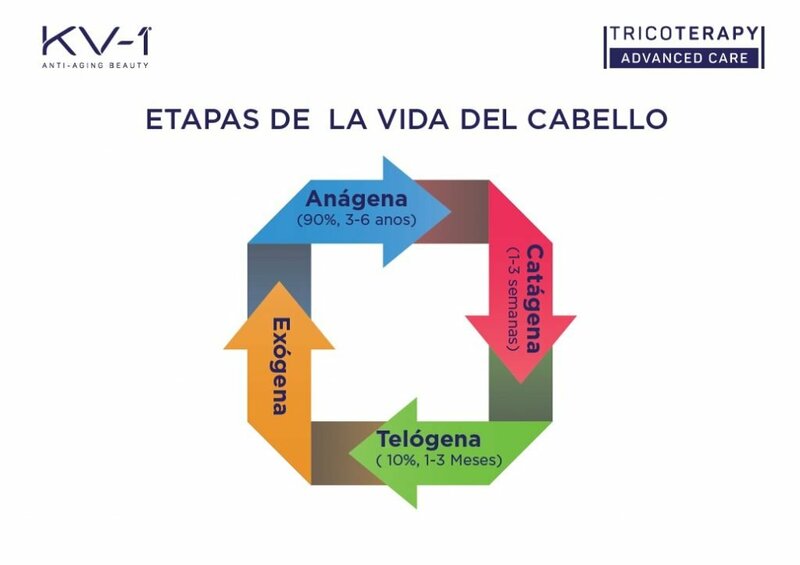 The hair life cicle is divided in four stages: anagen (in which the hair grows for 3 to 6 years), catagen (in which the hair stops growing and rests during 1 to 3 weeks), telogen (in which the hair falls off slowly, on its own or with help of mechanical agents, and lasts for 1 to 3 months) and exogen (in which the hair follicle begins to create a new hair from the root). The ‘areata’ or temporal falling works due to multiple factors, but is never ultimate. A possible explanation is the ‘shedding’. The humans, as the other mammals, change their hair and, as well as animals like bears, dogs and rabbits, with the arrival of the cold weather, their body rejects the old summer hair and change it for a new winter one. Another reason is that, in general, a huge part of the hair goes into catagen stage at the end of the spring and needs aproximately three months to go to its telogen and exogen stages, through the summer. When summer is over, is the time when all the dead hair from spring ends by falling off slowly. Also, in summer the sunlight has more power and affects more the scalp; it becomes thicker and denser and thus protect our head more from sunrays. When autumn comes, and while the sun decreases its intensity, the hair loses quality and falls off. Coming back from summer holidays implies that our habits change to get back to work and everydayness routine. Sometimes, this creates a stress strange in holidays, where there’s more time to drive things calmly and have better life quality. This affects badly to our body and, of course, hair, making it to fall more. Again, on summer, the exposition to more sweat, sea salt, chlorine from pools and other external factors make our hair weaker and that it falls easier during the autumn. A person with iron deficit or with hormonalalterations, during autumn, will have an even more weak hair and will see it fall more than normal, especially if its long (not because it falls more, but because it’s more visible). Finally, the extreme temperatures, mainly when they imply abrupt changes, will affect the hair badly. This is even worst in the change to cold temperatures, something typical of autumn. To control any kind of hair fall and other issues related , we recommend you Tricoterapy Advanced Care by KV-1. What can I do to avoid autumn hair falling? And now what? We have to resign to lose our hair every autumn? 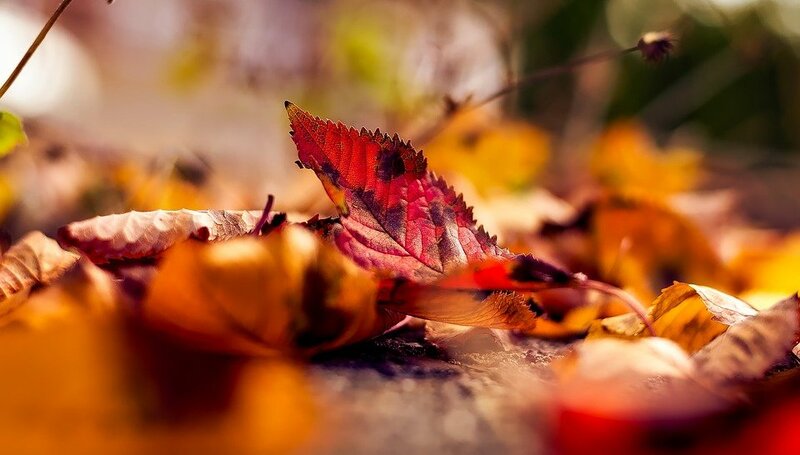 Somehow, the autumn fall is inevitable, because all the reasons we explained to you above. However, a deep hair healthcare, and especially of the hairbulb or root and scalp will decelerate, stop or even prevent a great part of the autumn hair fall, improving the hair looking in general. For doing this, is essential nourishing and working the hair strength. The best solution to this is avoiding stress, keeping a good nutrition and, over all, trust on a professional. 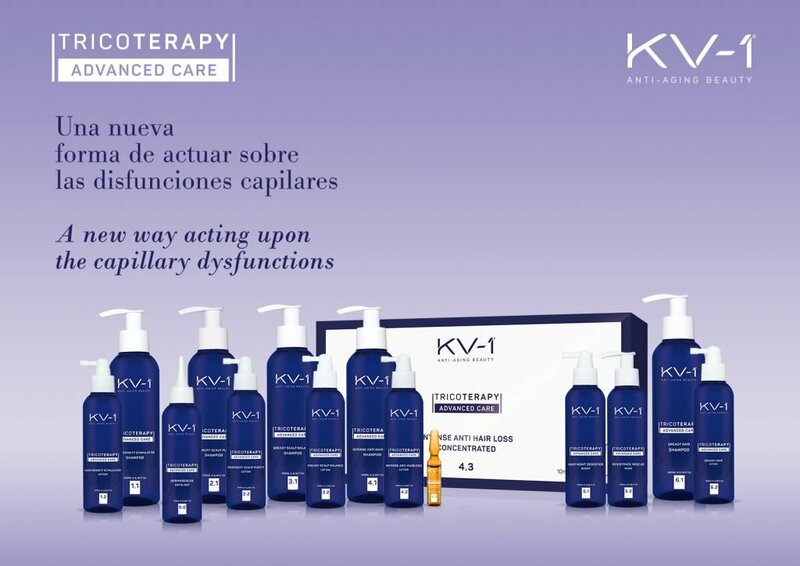 From the experience that give more than 30 years dedicated to the health of the hair and the haircare in general, in KV-1 we recommend you our trichology line Tricoterapy Advanced Care, which was made specifically to maintain a strong and resistant hair, working on the hair root and the scalp to treat any kind of severe hair problems, among which there is the areata or temporary falling. We hope that this article was useful to understand how the hair works and avoid the annoying autumn falling. If you found this helpful, share it on your social networks and recommend it to your friends and colleagues, and also be aware to future articles.